Home » Service Manual Catalog » EPSON Service Manuals » InkJet Printers » SM_WF8010 I have paid for Reset Key but not received yet. Epson WF-8010, WF-8090, WF-8510, WF-8590 printers Service Manual and Connector Diagram New! This Epson WF-8010, WF-8090, WF-8510, WF-8590 Service Manual describes basic functions, theory of electrical and mechanical operations, maintenance and repair procedures of the printer. 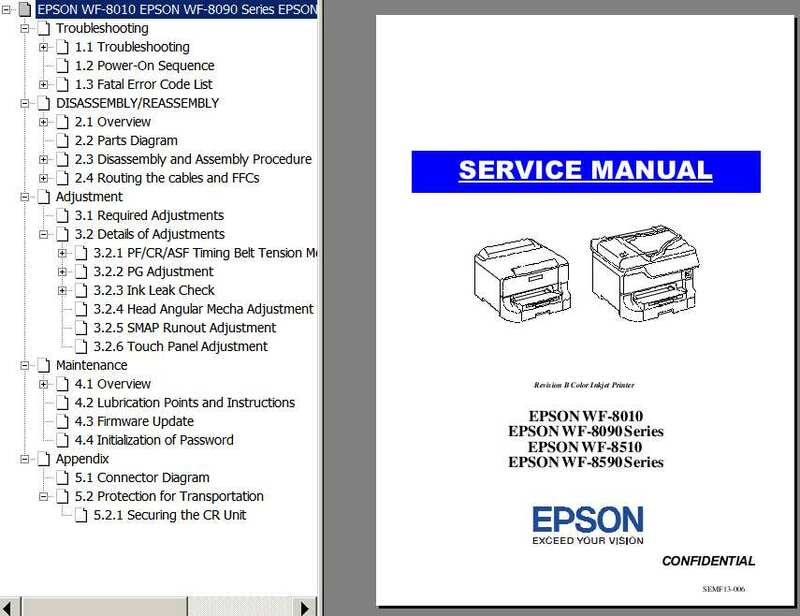 Notify me of updates to Epson WF-8010, WF-8090, WF-8510, WF-8590 printers Service Manual and Connector Diagram New!